We got together with Mandy Kan, Owner and Styven Bonilla, Sr. Sous Chef at Dessert Lady, a delicious cafe and bakery with a palate-pleasing menu (1 Sultan Street, Toronto). Mandy and Styven gave us some insights into the southern-hospitality like culture they've created and provided some amazing advice for anyone looking to get into this industry as an owner or chef. How did you get started in the food space? [Styven] I started working as a server at a banquet hall. I then got my Smart Serve and started bartending and throughout that time I was always interested in the kitchen, their creations, their hustle and I asked the chef to schedule me in for a few shifts. So he did and I really liked what I was doing, I had a new outlet for creativity that I loved! [Mandy] I always loved food. When I was six years old and my mom took me to a Thai restaurant and we had a chicken dish. All of the flavours just wowed me so much and they got stuck in my head. Since then, I tried to recreate that dish… it took my 10 years, but I finally did it! And that’s when I knew that my passion was in food. When I grew up, I went to New York City to go to a French culinary school and enrolled in a classic French pastry program and that’s where my career started. Styven, as a Sr. Sous Chef with so much experience, you probably had a lot of options, why Dessert Lady? [S] I was working for a company for about five years and decided that I really wanted to expand my knowledge. I was doing savoury and really wanted to get into baking. As I was applying around to bakeries and pastry shops, I always asked whether or not they made everything in house. Some people said yes, others said no. Dessert Lady was one of the shops that said yes. After the interview process I started working at Dessert Lady part time and then a couple months after I came on full time and I couldn’t be happier! What gravitated you towards the pastry side of the food industry? [M] Pastry is like a science. It teaches you to be patient and creative. You know, I was never good at art but when we did the chocolate tempering classes, I really enjoyed it. You can make things that should be impossible, possible and all with your hands. It’s what I love! So, how did Dessert Lady come to be? [M] When I finished school in New York, I came back to Toronto and there were no jobs available. I knew in my mind that I always wanted to open up my own shop, but it wasn’t the right time. So I sent out my resume to several places for a pastry-focused job and landed one at the Ritz-Carlton. It really opened my mind and got me into a great working habit, having had the opportunity to learn from some really amazing chefs. It also helped me to prepare to open up my own shop, both financially and strategically because I got to see and learn what it takes to run your own restaurant. As for the name, Dessert Lady… I love customers who really enjoy a chefs creations. So a lot of the time, when we created our dishes, many customers would be so appreciative. They would bring back their plates licked clean and would say “Where’s my dessert, lady?” and so that’s how I got the name for my shop. It’s my motivation to create something better for our customers. [M] We started on 12 Cumberland Street. That bakery is 13 years old and we’ve created a really strong clientele base in this area. The neighbourhood has treated us really well since we started. People here give us a lot of support and they appreciate us. As I mentioned, our mantra is #WhereTasteMatters, and our clientele here understand that. For the most part, they are within the medium to medium-high income levels, they’re people who are looking to pamper themselves to a delicious meal. What would you say makes this place unique? What are you best known for? [M] Everyone that works for the company has a strong passion for food. 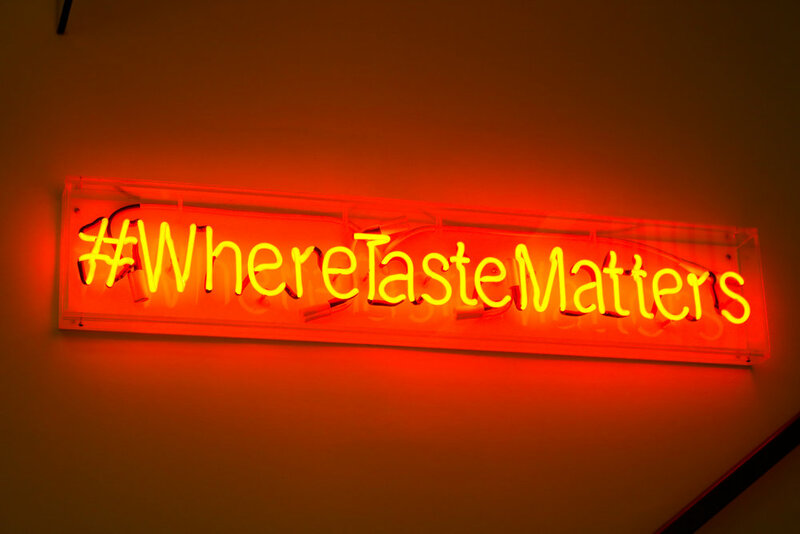 What we focus on is #WhereTasteMatters. We bring simple ingredients together to make a delicious plate. Food brings people together and we really strive to make sure that when they walk into Dessert Lady, they feel welcomed and part of our family. [S] From the other shop, people know us best for our strawberry shortcake. Definitely one of our top sellers. It’s fresh, light and fruity. At this shop, one of our biggest sellers is the avocado grilled cheese sandwich. People really like it and they always come back for it. And what are you most proud of about Dessert Lady? [M] I am most proud of the people. We’re a team, a family. We are always trying to help each other grow. When you work in a place where everyone can grow together, it makes it shine. We’re all happy and that happiness extends to our customers and I believe that’s how you can create a place in which people call home. What is your biggest piece of advice for someone looking to start a restaurant? [M] Never open a restaurant because you don’t like your boss. If you’re looking to open a restaurant, you have to be ready to commit to super long hours, you must accept that you’ll fail sometimes, and you have to stay positive. Things aren’t always going to go the way you want them to, but that’s okay. Don’t give up on your passion or your dream. You need to stay motivated and consistently put in the work to get your restaurant to where you want it to be. How about advice you’d give to a fellow chef? [S] Find a strong team who understands what teamwork is. You can’t always be a hero and work on your own, you have to create a team. That’s one of the things in a kitchen and as a chef that you’re looking for in your team. Also, make the best of nothing. Maybe you have a team that’s not the strongest in the teamwork department, but you should make the best of it and work to improve your team. Keep an open mind and be patient. [M] I’m a big believer in technology, it generally makes life easier. So when ChefHero approached me and explained how they could help me, it just made sense. For example, if you buy produce, you can go in and compare the price and quality, on the app or on the web, between multiple suppliers and choose the one that’s right for you. Also, the deliveries are always on time for us. 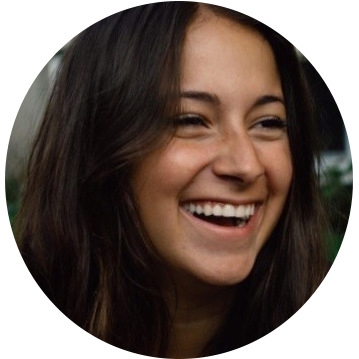 For invoicing, we get all of our invoices in one location and it just saves us a lot of time. In short, ChefHero makes my life easier.